In recent years, with the constantly escalating phenomenon of Chinese fever, a large number of foreigners, attracted by beautiful mountains and rivers and economic development in China, come to China for the experience of Chinese culture, which keeps the Chinese language training in full swing continuously. Shanghai, as an international metropolis, is the best Chinese city for foreigners, so the Chinese language training can develop and grow in Shanghai. The main problem faced by foreigners in Shanghai is the inconvenience caused by linguistic differences, so they are badly in need of a channel to get over the language barrier both in working and studying. As for the choice of Chinese language training schools in Shanghai, it’s necessary for them to select an appropriate school for their learning of Chinese language so as to adapt to the working and studying in Shanghai more rapidly. Let alone the daily communication in Chinese, many schools, focusing on the foreign students in Shanghai, require them to receive the Chinese Proficiency Test before admission. And as for the foreigners working in China, it’s indispensable for them to learn some business Chinese. 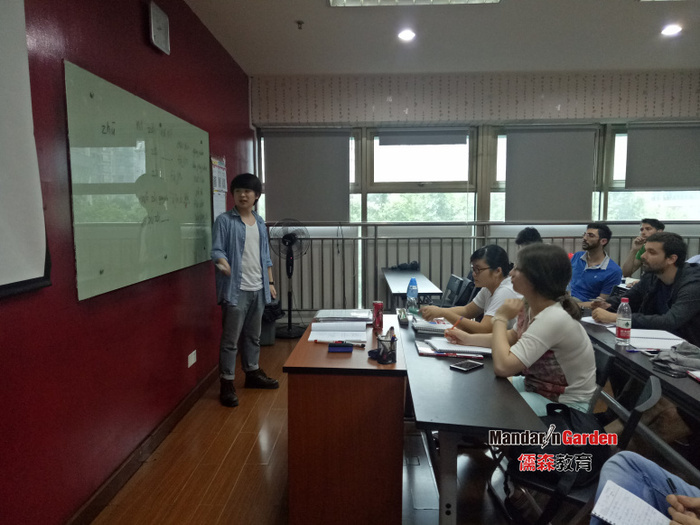 Therefore, it’s very necessary for foreigners to select an appropriate Chinese language training school. The teaching offered by Mandarin Garden is mainly characterized by personalized courses, namely, formulating different learning programs based on students’ different situations in a proper way. There are a lot of Chinese language training schools in Shanghai, but the core concepts of a professional school shall be qualified teachers and good services. David, a friend of mine, who works at a foreign company in Shanghai, suffered great inconvenience in working due to the difficulties in language communication. Later, a friend helped him search the Chinese language school on the net and found Mandarin Garden, a better school to learn Chinese. Finally, he made a lot of Chinese friends after entering the school. Now, his Chinese level is better than the average.